It’s fun to see what’s trendy and new, but do you know what was trendy a few years ago. We’ll take you on a walk through history to see what was on trends over the last several years. The way we live today is significantly different than when we were children and will definitely be different from how we live in the future. Homes and communities continually change to reflect lifestyles, needs and personal tastes. Often designers and builders look to the past for inspiration and wisdom, while combining today’s technological advances and new materials to shape their homes and communities. Here is a sneak preview of trends home buyers will see over the next several years. Cabinets, flooring, backsplashes, counters, fixtures and appliances are beginning to lighten up. The new approach of layering white on top of white in kitchens and bathrooms gives us a fresh and light feeling. 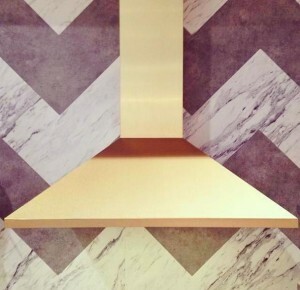 Shiny surface materials on appliances, backsplashes and countertops add to the contemporary vibe. Bold colors are making their way to the exterior of homes. Whether it’s through paint, cladding materials, doors or windows, designers are adding an extra layer of drama to elevations and further enhancing curb appeal. Interior courtyards are popular in all housing types right now. While showcasing amenities such as pools and fire pits, they provide private and safe outdoor living areas. Builders of homes are loading them with over-the-top amenities that appeal to home buyers. Features such as communal kitchens for cooking classes, oversized pools with lazy rivers, pools for dogs, electric car charging stations and spas make buyers feel like they’re living in a four-star hotel. 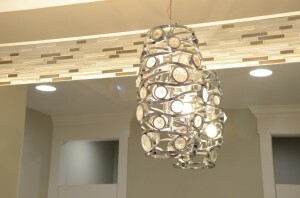 Specialty pendants, chandeliers and fixtures are lighting it up this year! 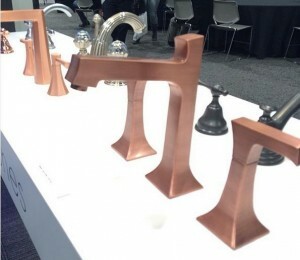 Designers are showcasing fixtures as pieces of art rather than just functional elements. New and remodeled homes, be they Craftsman, Prairie or Mid-century Modern, are adding contemporary flair to their traditional designs through color, finish, fixture and lighting selection. Lines continue to be blurred between the inside and outside of homes. Builders are adding indoor-outdoor living spaces by using movable glass walls, gourmet outdoor kitchens and interior courtyard swimming pools. 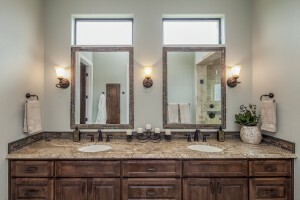 Dual master baths are all the rage! They are glamorous, yet extremely functional. Surprisingly, this can be achieved even in a smaller space. While remaining simple, functional and clean, dual baths often have a shared shower and continue to feature fixtures, colors and finishes with a spa-like feel. You can always count on the International Builders Show to generate trendy ideas for the year to come. We have already begun to notice clients requesting these features and are seeing a growth in their popularity. We have pointed out a few of the industry’s latest trends in our recent articles. So we thought we would pick up where those left off. People are realizing that more “stuff” doesn’t mean better quality of life. There seems to be an emphasis on quality over size as people scale down their “stuff”. 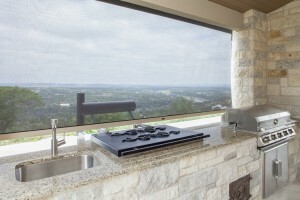 There is an emphasis on a more seamless integration of indoor and outdoor living so that people can spend more time enjoying the fresh air, especially here in Central Texas. 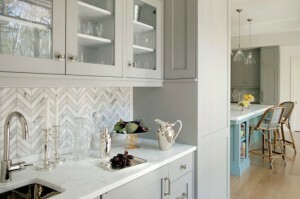 White kitchen cabinets are taking the place of the dark, stained cabinets. The consensus seems to be that a white kitchen feels cleaner, and a clean kitchen makes the whole family feel good. Some clients are choosing to create warmth and balance by simply staining the island or a small portion of the cabinetry, but in any case there is a trend toward a lighter, brighter kitchen. Pets are becoming part of the design process. They now have their own eating, sleeping, and bathing quarters. Every secondary bedroom that belongs to a member of the family is now getting their own dedicated bathroom. Even when space is limited, this seems to be the new standard. Homes are being built to accommodate homeowner’s parents and children. We are seeing more Casitas or two Master suites as homeowners plan for the day when they might need it. The aging baby boomer population realizes climbing stairs in 20 or 30 years might not be easy. Even when they don’t need it right away, we are recommending a planned closet stacked over another closet upstairs that could be easily converted to an elevator in the future. Barrel vault ceilings, coffers and beams are bringing design to ceilings. Whereas ceilings were considered unimportant in the past, the move toward quality has also spread to the ceiling. 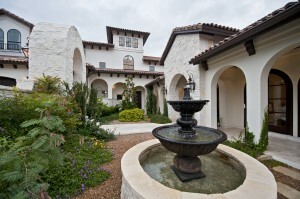 Jenkins Custom Homes is a luxury design-build firm based in Austin, Texas. Offering 20+ years of experience and numerous awards for excellence including Best Design, Best Overall, & Best in Texas, Jenkins is the company to call when innovation is desired and exemplary implementation is required. Every home builder has an emphasis, something they do extremely well because they have focused on it over the years. At Jenkins Custom Homes, it’s the art of design and science of building a home, resulting in a balance between great design and enhanced construction methodology. This has also led to their reputation as the builder of choice for waterfront custom homes, golf course homes and private estate homes. 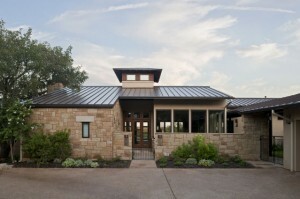 Learn more at www.newhousebuilder.com or call 512-461-7990.